Velaa Private Island is a place of outstanding natural beauty. Part of the Maldive archipelago which stretches north from the equator in the Indian Ocean, Velaa (which means Turtle) opens before the end of 2013 and consists of a number of modern, luxurious villas placed either by the white sand beach or overlooking the turquoise waters of the lagoon. Coupled with bars and restaurants of the highest standard and cuisine by Michelin-star Adeline Grattard and a world class My Blend by Clarins spa, Velaa offers the ultimate in luxury for discerning travellers. 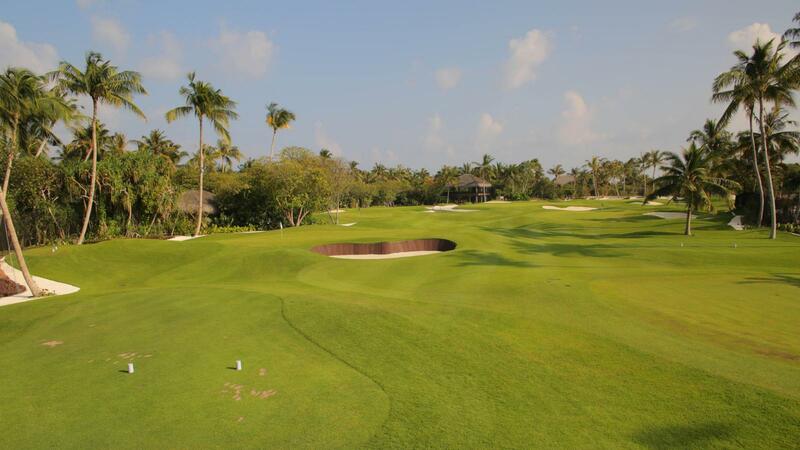 In addition to the outstanding accommodation and service, Velaa Private Island is also home to a Troon Short Game Academy. "Private Golf Moments by Olazabal" has been designed by the ex-Ryder Cup captain and twice Masters champion and will provide an unrivalled level of intimate tuition to enhance the short game of any visitor to the Island. With the latest technology available to assist the PGA professional, guests are guaranteed a learning experience bespoke to their individual needs.